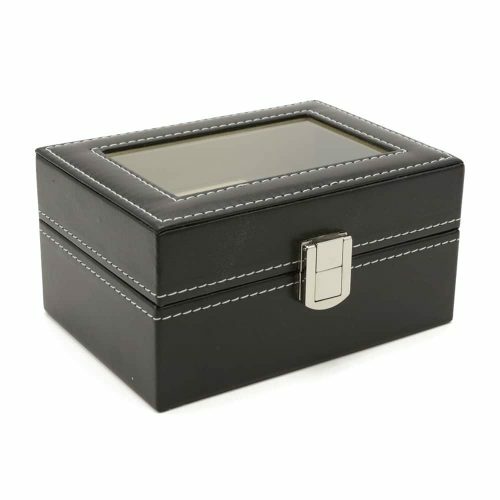 This Black Single Travel Watch Case has been beautifully designed to hold a single watch securely and fit in your luggage while travelling. 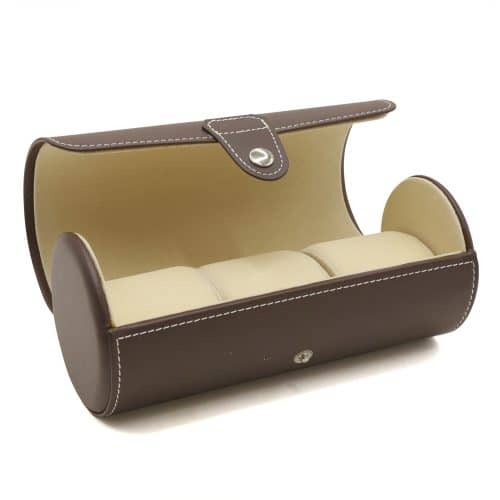 It has been made with durable real leather and thick white stitching. 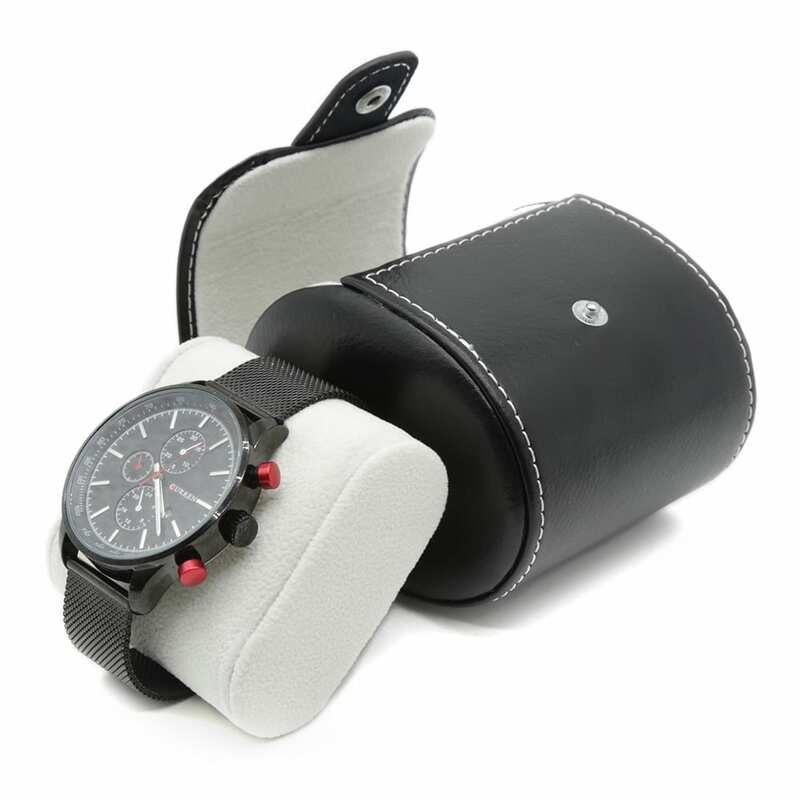 For added security, it is fitted with a strong strap with a button to lock and secure your watch. 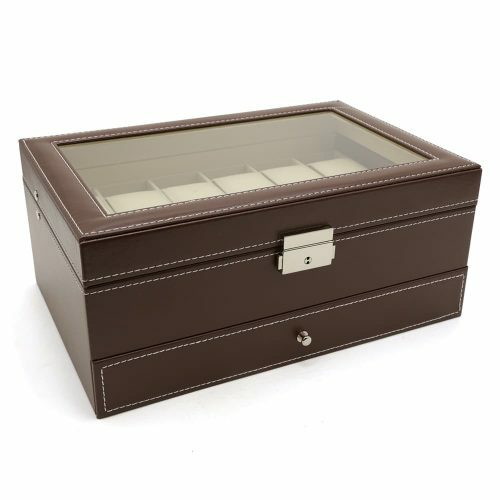 you find that perfect box. 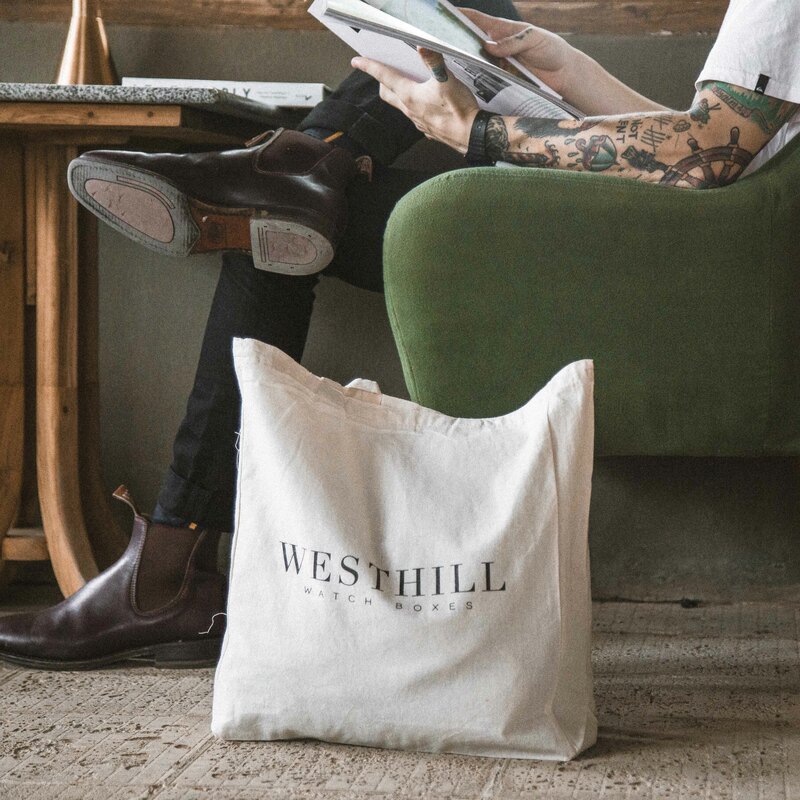 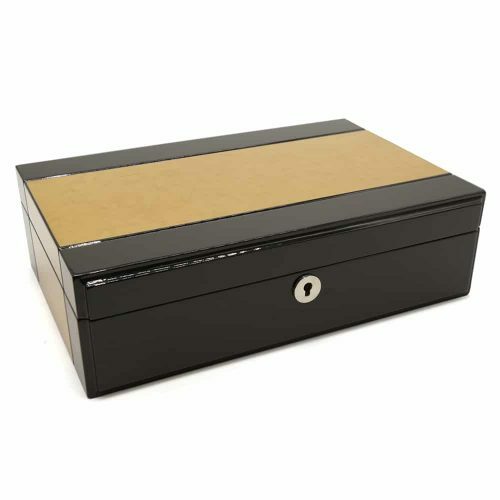 please contact us at info@westhillwatchboxes.com.au and we will assist in any way we can. Keep your watch safe as you travel with this Black Leather Travel Watch Roll. 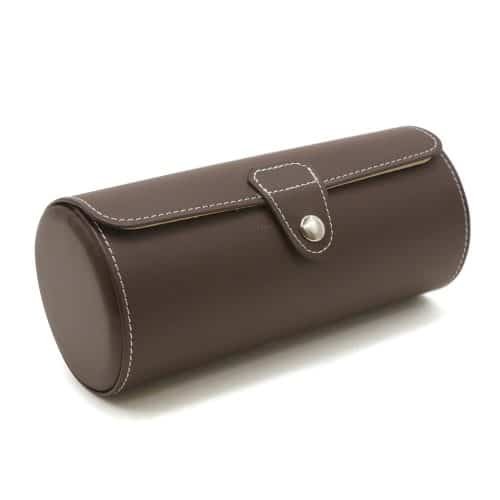 This case is so compact that it can fit in practically any bag. 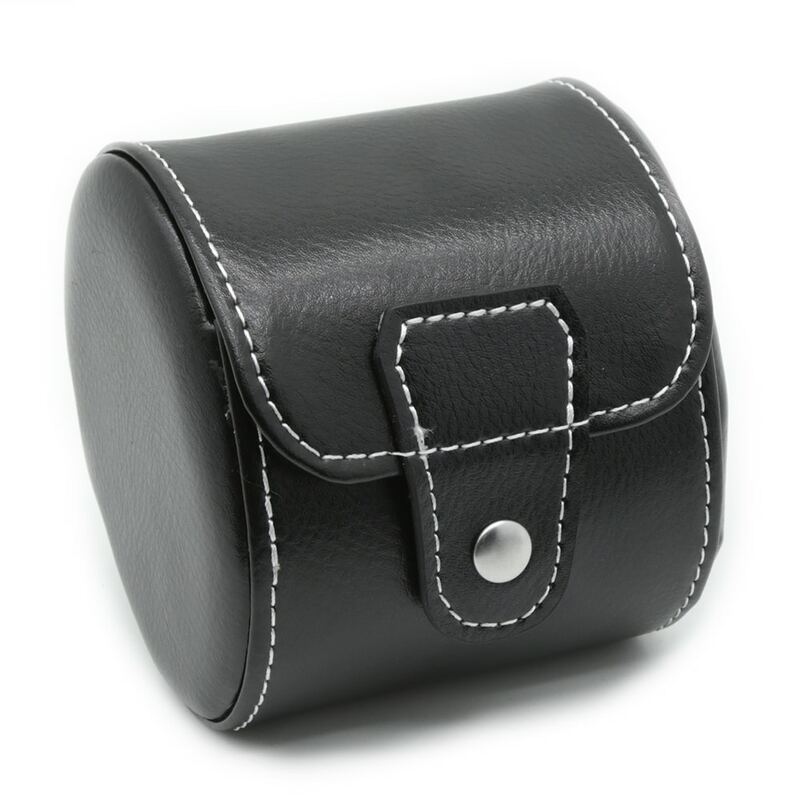 It’s made with real premium leather in black. 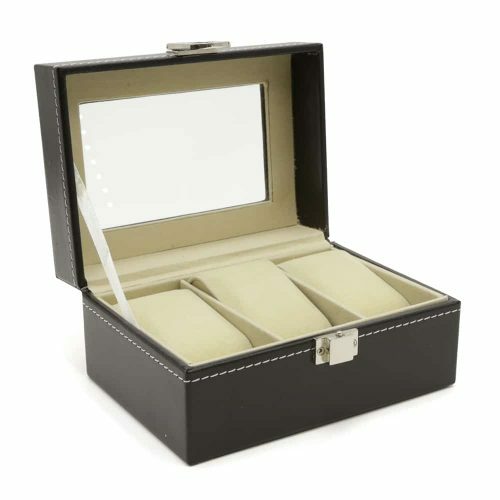 Inside, your watch is cushioned by soft high-quality cream velvet with a matching removable pad. 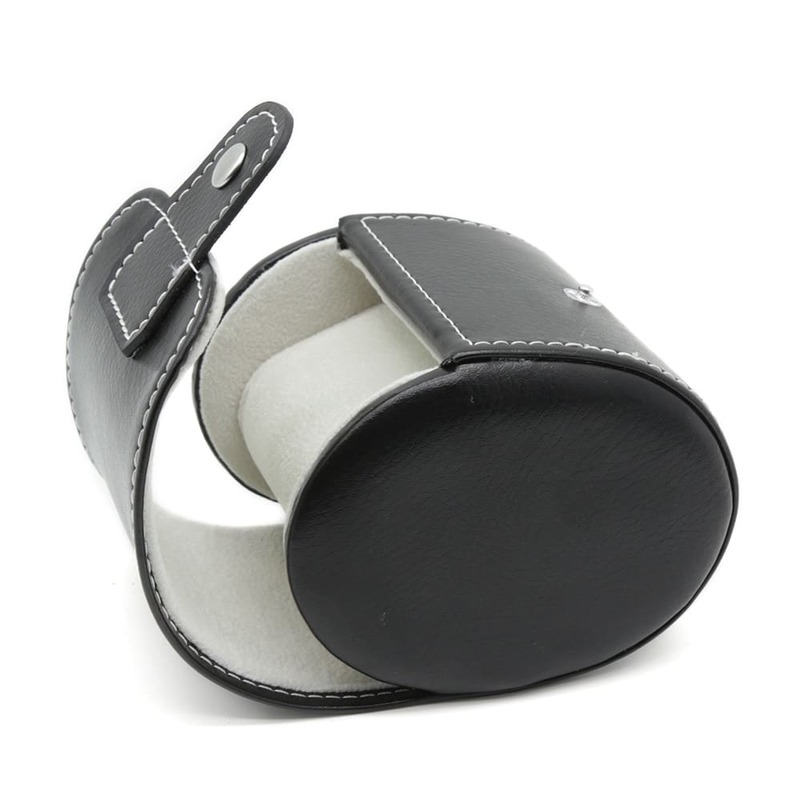 For easy access, the front clip comes with a strong strap to easily open the watch roll when needed. 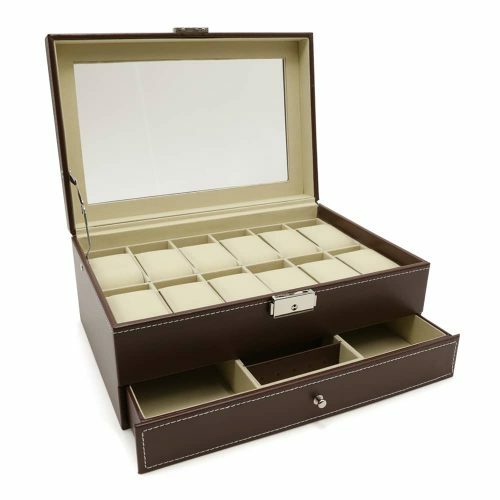 This watch case is the best travel companion to keep your valuables safe.